E-commerce • Invoicing • CMS • Customizable Website • Quoting • CRM • POS • Pre-press • Online Design • PLUS More! 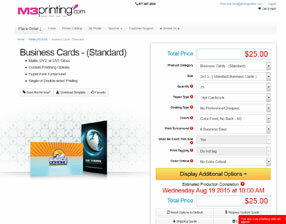 Get started by selecting the web-to-print software package that works for your business model. 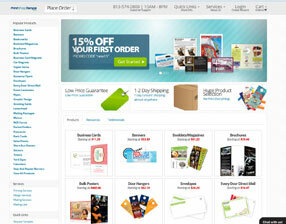 Add our easy to use online ordering system to your printing or marketing business. See how much money Printing In A Box can save your printing business. Need An Online Ordering Solution or a Website for your Print Shop? Look no further Printing In A Box is here. 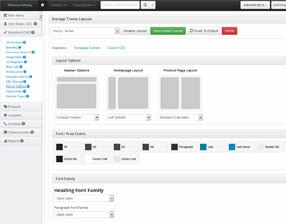 Customize all aspects of your website theme with our mobile friendly fully customizable template. You can also manage all of your printing website's content from within the admin, edit everything from banners, meta data, to product images & descriptions. Compete with the big printing businesses in the world by adding an advanced all-in-one e-commerce online ordering system. Our software makes everything easy for you and the customer providing you with a professional website that includes a fully operational online ordering system with comprehensive administration. Your customers data will remain secure we use SSL on our checkout process and provide a PCI compliant ordering system that keeps all your customers encrypted data and credit card information in asecure and safeguarded location. Our system is compatible with Authorize.net, Moneris, MerchantWare, Converge, PayPal or PayPal Pro Accounts. If you do not already have one of these merchant gateways we will be happy to assist you in getting one. Add your logo, change your text, change your template, add your products, change your menu, change your prices, you can do it all from your website administration panel without the need of hiring a web designer or consultant to aid you in the process. Our system will have automatic & free system upgrades, with other software solutions you will be forced to buy the upgrades to stay up to date. Our software is routinely updated with every revision of our software automatically at no cost to our members. Our sites are hosted on cloud technology, meaning any server downtime will be next to nothing. Your orders will be sent by automatic email notifications to your clients and we will provide you with an order tracking system & administration in your admin panel. You will have complete control over your order management.